Hippy chic handtie wrapped in recycled paper and a lot less cello than the standard hand tie. 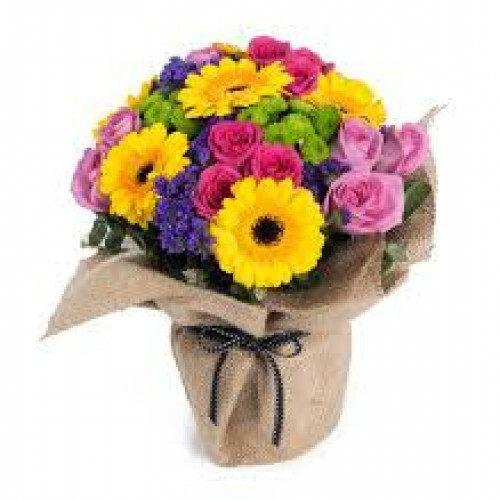 Bright and cheerful mix of flowers great gift for any occasion. Order online today and have your flowers delivered direct from our store in Galway. A bottle of red wine and a box of handmade chocolates wrapped and presented with a pretty bow. Lovel..
We have a wide range of large greeting cards in stock....... So why not add one into your order, Jus..